SALT LAKE CITY (AP) — A 7-year-old Venezuelan girl has made it to the United States after a long fight to take her away from the turbulent South American nation where her jailed mother and the mom’s American husband are fighting for their freedom. 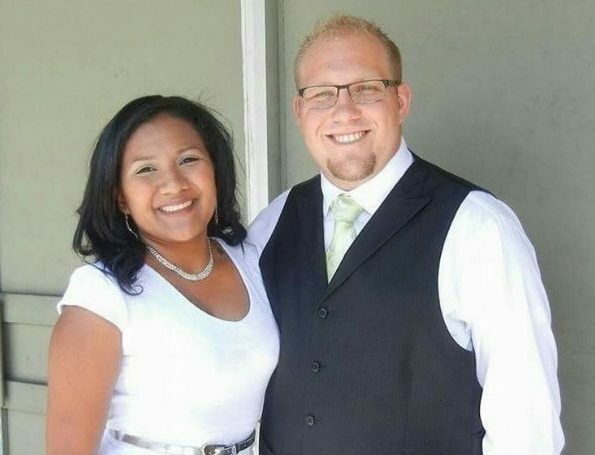 The couple, Joshua Holt of Utah and Thamara Candelo of Venezuela, made the difficult decision that the girl would be better off in Utah with Holt’s parents than in Venezuela, which has been stricken by severe shortages of food and medicine. U.S. authorities say Holt and Candelo were arrested by Venezuelan police in June 2016 under trumped-up weapons charges. They are trying to get them released, though the Holts are still awaiting news on when the trial will begin. The girl, Nathalia Carrasco, is Candelo’s daughter from a previous marriage, and her father died a year ago. She had been living with her grandmother in a government housing project in the hills outside Caracas. Laurie Holt said Wednesday that she and her husband picked up Nathalia on Saturday night at the airport in Miami in an emotional first meeting and brought her to their home outside Salt Lake City on Sunday. She said she had begun to lose hope after a year of seeking permission to bring the girl to Utah. While they waited for Venezuela’s child welfare agency to grant approval, Holt and Nathalia would text each other regularly using emoticons on the WhatsApp messaging service. In the U.S., Holt is the girl’s legal guardian. Communication is challenging because the Holts don’t speak Spanish and Nathalia is just learning English, so they rely on an online translating app and family members and a lawyer who speak Spanish. They have been to the mall to get some clothes and toys; Nathalia loves items from the movie “Frozen” and My Little Pony stuffed animals. She’s also had a doctor’s checkup that determined she’s in good health. Her first day at school was Wednesday. Holt dreams of the day her son and his wife can be reunited with Nathalia and all of them can live together in Utah. She said Nathalia had been visiting the couple in jail once a week for last 20 months. “Even if he’s not her biological father, I know she adores him and calls him papi,” Holt said. Venezuela authorities allege Joshua Holt used his wife’s apartment to stockpile weapons and have linked him to unspecified attempts by the U.S. to undermine President Nicolas Maduro’s rule amid deep economic and political turbulence. Holt’s family says an assault rifle and a grenade found in the apartment were planted. The case has become a major thorn in relations between the U.S. and Venezuela, which were already tense from previous U.S. administrations. The Trump administration has slapped sanctions on dozens of senior Venezuelan officials with the goal of weakening Maduro’s grip on power. The new top U.S. diplomat in Venezuela, Todd Robinson, has ratcheted up the pressure, calling it a “tragedy” that Holt has been imprisoned. The diplomat said he is holding Venezuelan Foreign Minister Jorge Arreaza personally responsible if anything happens to Holt in jail. 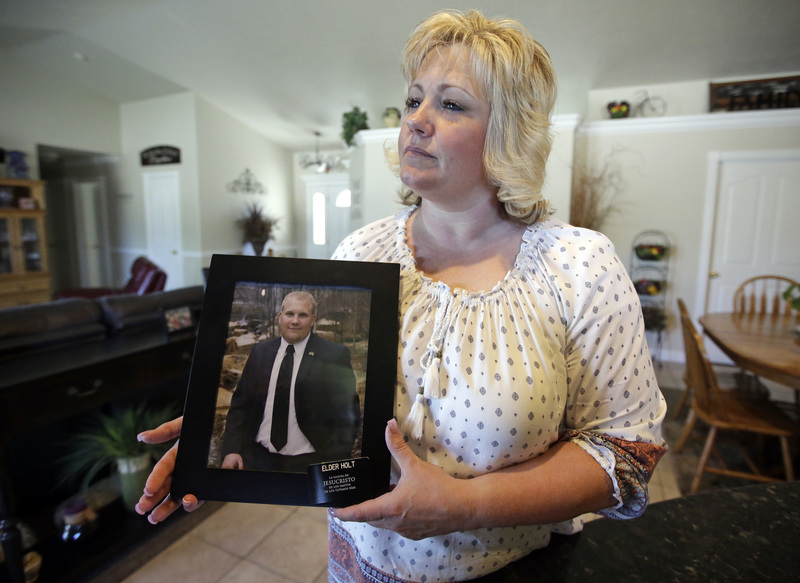 U.S. Sen. Orrin Hatch also has been working for Holt’s freedom. His office on Wednesday released a photo of Holt taken last Friday during a consular visit. He’s holding a letter that Hatch sent him, including words of encouragement and imploring Holt not to give up.